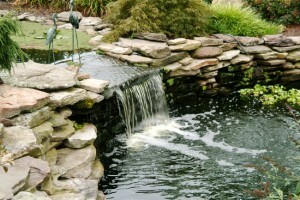 At Erney Landscaping, we see quality work as a virtue that far exceeds quantity. That’s why we put our focus into providing the award winning landscaping designs and hardscaping services for homeowners locally throughout Easton, Whitehall and Lehigh Valley. Each project we undertake is done with exceptional attention to detail in order to create a true work of art when we are finished. And with 20 years of experience providing landscaping on a local level, we are able to connect with our customers on a personal level. We pride ourselves on taking landscape design to a whole other level, and the backyard that you used to ignore will instead be the space you enjoy most. We strive to incorporate the ideas and preferences of our clients, ensuring you’ll get a landscaping design that complements your home and personality. For the best landscape design service in Zionsville PA, Lehigh Valley, Berks and Bucks Counties, call us at 610.965.8340 for quality, award-winning landscaping services that can’t be beaten.